Many of the tunes are found in these books which were compiled by Andrea's father Kinnon. On this Andrea's second CD she is joined by numerous friends and relatives for an extended session of infectious tunes. 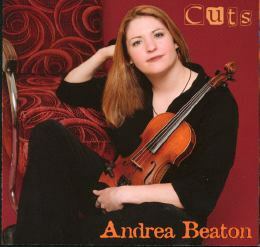 The 14 cuts include duets with Buddy MacMaster, Kinnon Beaton, Jackie Dunn, Finn Moore (highland pipes) and Ian MacDougall. Accompanists include pianists Betty Lou Beaton, Troy MacGillivray, Mac Morin and Joel Chiasson, guitarists Gordie Sampson, Sandy MacDonald and Patrick Gillis and drummer Cheryl Smith .